The fast, bouncy track often proves the kryptonite for visiting sides, along with the steamy Queensland air just being too hot to handle. As the years have rolled on, only a six-month period when the pitches were rolled and the goalposts were removed did the Gabba attain the name “The Gabbatior”. There was only one team that caused mayhem and it wasn’t the one with the Sherrin. But there is now a team in town that ensures that the name The Gabbatior lasts a full 12 months of the year. 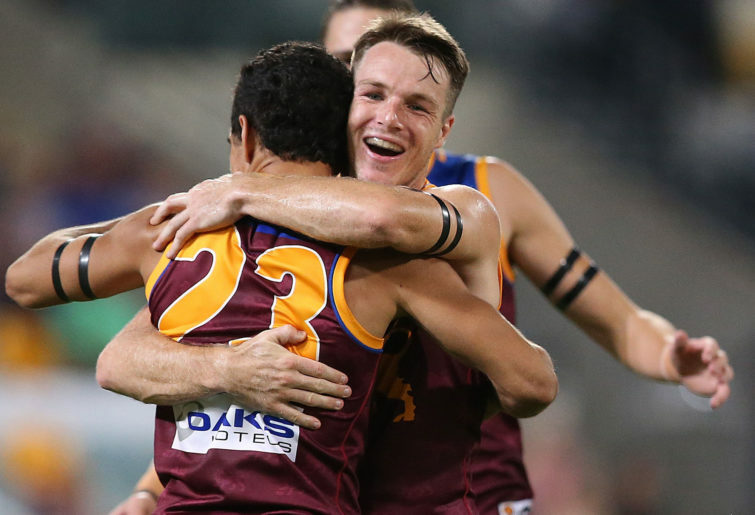 The Brisbane Lions are not just coming, they are here. They say a week is a long time in Football. A year is even longer. A decade without any form of success can feel like an eternity. You have to go all the way back to 2010 to find when Brisbane started a season with three straight wins. 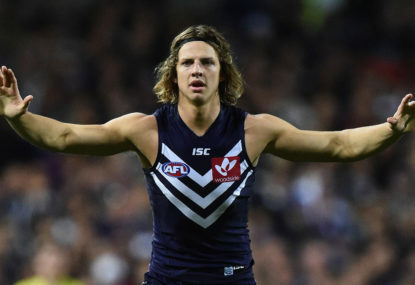 It was a time where Jonathan Brown was at the peak of his powers, Brendan Fevola was up there playing second fiddle for a season and the likes of Simon Black, Luke Power and a young gun called Daniel Rich were ruling the roost in Queensland. The football was great, the crowds were loud and the Gabba was pumping. 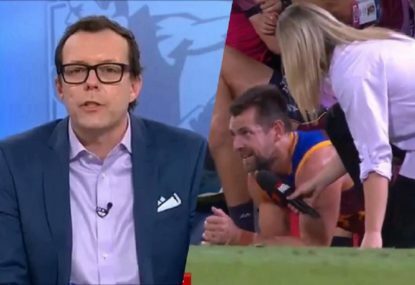 While this brief period of excitement in 2010 was brief and they ultimately missed the finals that year, it has been a long and barren trough of decent Australian rules football coming from Queensland. Until now. While the word from within will be to keep a lid on it and it is only Round 3, it is hard to argue that the Brisbane Lions have been one of the most exciting teams in the competition to watch. In the first three rounds of the season, they have not only fought to win all their games but they have run all over the top of the opposition. Round 1 against the reigning premiers West Coast, 14 goals to two after quarter time. In Rounds 2 and 3 they were 10 points down with 15 minutes to go and proceeded to run over the top of the opposition by kicking the next seven scores – in both wins. While coach Chris Fagan calls it the steady growth of his young cubs, the results and numbers are there to be seen that this is a team that’s on the up – and quickly. And the Gabba and the game as a whole and supporters in Queensland are going to be the biggest benefactors of all of this. As such, “The Gabbatior” is about to live up to its name as a fortress once again. The noise that the 20,000 people strong crowd made has been getting louder and louder as the games have worn on. Emerging key forward Eric Hipwood notes that like the rusted on AFL fans that ride every single bump that they are all along for the ride. “But it’s not just that. It’s the spoils, it’s all the little acts, the defensive acts that the crowd gets involved in. It’s not all the goals, it’s the little things,” and for Fagan, who has been so intent on bringing fans back to the Gabba since he has come to the club might just have the perfect tonic. His team plays incredibly watchable Football which is conducive to the modern game. They move the ball quickly and slickly from one end of the ground to another with little to no fear and they have the players who are capable of putting a big score on the board. 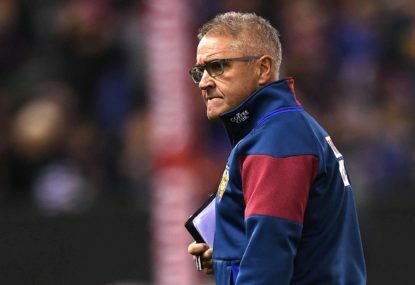 It’s the type of game-plan and style that can not only turn the Gabba into a fortress again but make it a feared road trip for anyone in the competition. 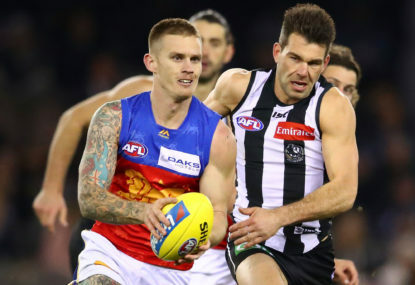 With Aussie rules in Queensland on the rise at grassroots and the AFL teams performing well, with a blockbuster Thursday night Easter Thursday game coming up – the tickets are only going to get hotter and go quicker. They boast one of the most exciting young lists in the competition, inclusive of one of the best players in the competition right now while also loaded with players who are destined to become household names. As Florence and the Machine put it so beautifully in one of their favourite songs “the dog days are over”. 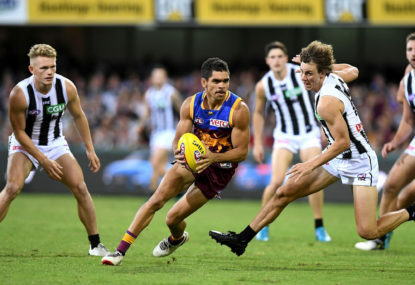 The people are coming back to the Gabba and like the folk of Brisbane have made it such a great environment for their Cricket teams to perform in recent years, the Brisbane Lions are about to get what appears to be an extended run of that same love and support.